The Tactical Services Group (TSG) is dedicated to providing the most comprehensive and state-of-the-art consulting services and training available. 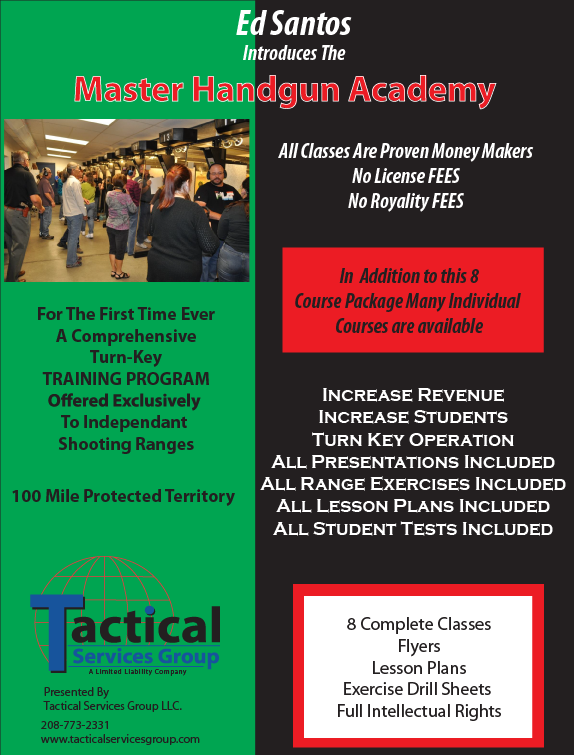 We provide resident and mobile Law Enforcement / Armed Professional training programs around the world. We have provided instruction to more than 23,000 civilians and armed professionals in over 35 States and Internationally. In addition, TSG personnel provide Shooting Range Consulting Services, Close Personal Protection agents, Physical Security Consulting, and Armed Courier Services on a contract basis. Our staff and cadre are comprised of former military, law enforcement, security industry leaders and academic professionals. In addition, we have partnered with select equipment manufacturers to guarantee our access to the latest technology and equipment. Our training programs are based on extensive research and street proven practices / techniques. Our courses are always under review and critique in an effort to remain on the cutting edge of technology and performance. 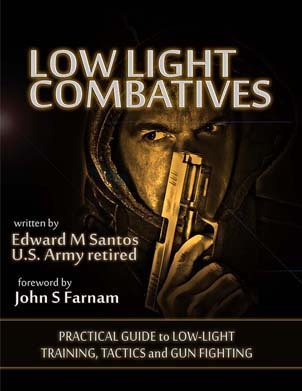 Written by Low-Light Shooting Specialist Ed Santos, these comprehensive and definitive books, that cover every aspect of surviving and dominating a low-light confrontation, have become an industry standard. Both books are an important read to complete your understanding of low-light gunfighting.